A triangular shaped bait station that fits in corners and along walls where rodents travel. 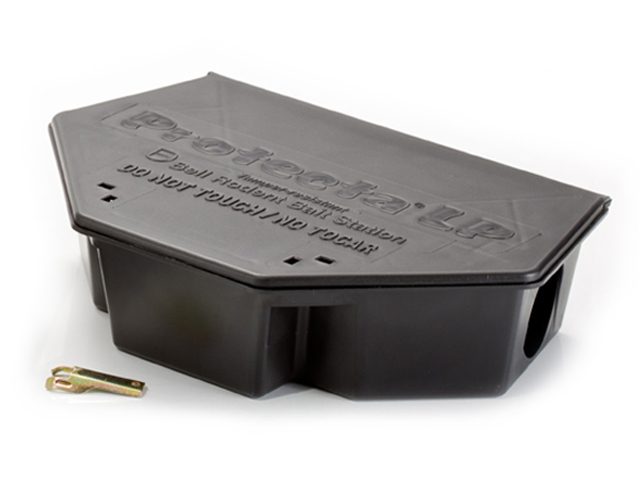 Its “Low Profile” makes it ideal to use indoors under pallets and in other tight baiting locations. It holds all types of bait.